Misdiagnosis of Lyme disease is rampant. 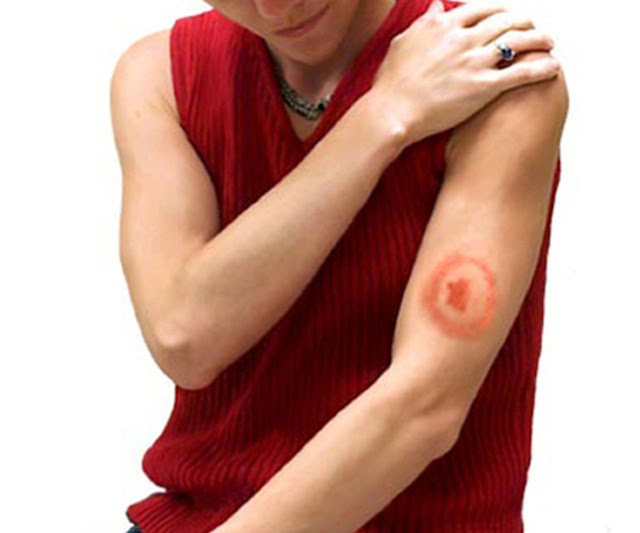 In the 40% to 45% of cases where there is no rash after infection, the early symptoms of Lyme disease are difficult to classify. Diagnostic tests are only 50% to 60% reliable. The disease mimics many other conditions, and some doctors will not diagnose it based on symptoms if test results are negative. Without seeing a tick or rash, the symptoms are varied, vague, and mimic many maladies: flu, chronic fatigue syndrome, multiple sclerosis (MS), lupus, rheumatoid arthritis, neurological disorders, cardiac arrhythmias, muscle weakness, and others. During the progression of Lyme disease, the symptoms change as bacteria move out of the blood, transform, and mutate. The immune response is depressed, and the organism becomes extremely difficult to detect. In addition, the bacteria produce blebs (packages of active Borrelia enzymes) that attach to antibodies and divert T-cells (attack cells) from the bacteria themselves. Positive results on both the ELISA test and Western Blot test are required by the Center for Disease Control (CDC) in order to report a case of Lyme disease. Because there are large numbers of antigens on bleb surfaces, antibodies bind to the blebs and become invisible to the ELISA test for Lyme disease, and ELISA test results are falsely negative forty to sixty percent of the time. The Western Blot test is far more accurate because it looks for proteins shed from the bacteria and the blebs. The Infectious Diseases Society of America (IDSA) requires that five of the sixteen possible protein bands be present for a positive diagnosis. Yet IDSA instructs physicians to ignore the presence of the bands for OspA and OspB, found in all strains of Borrelia, because these bands might show up in patients if they were previously vaccinated against Lyme disease. IDSA guidelines restrict physicians from ordering the Western Blot test before the ELISA test or if the ELISA test results are negative. Thus, the better of the two diagnostic tests is not available if the weaker of the two tests does not first indicate the presence of Lyme disease antibodies. Unfortunately, most physicians honor IDSA guidelines. The International Lyme and Associated Diseases Society (ILADS) has determined that requiring this combination of test results means that about 90% of all cases of Lyme disease are not reportable. Unfortunately for many patients, physicians who follow the IDSA guidelines also misdiagnose approximately 90% of their patients, whereas physicians who understand the ILADS view provide the necessary treatment. There are two new tests for Lyme disease: a C6 test where an artificially produced complex of surface proteins binds to antibodies already attached to the surfaces of blebs, allowing them to be identified; the other looks for OspA. These tests are supposed to have few false negatives and almost zero false positives. Unfortunately for patients, IDSA (but not ILAD) refuses to acknowledge the validity of these tests. Borrelia presents many complexes of surface antigens. Presentation of a large number of complexes delays or renders our immune responses ineffective. Additionally, the bacteria soon leave the blood stream, moving into tissue fluids and cells, reducing the intensity of the antibody response. After entering a warm-blooded host, Bb continues to remove and produce newly altered surface proteins, presenting new antigen complexes to the immune system. These complexes give the bacteria respite from attack. They grow and keep the disease active. As the immune system cannot produce antibodies against molecules that it has not been exposed to, it remains a step or two behind the bacteria. Many people suffer or have their lives destroyed because Lyme disease is not properly diagnosed. It happens every day: a patient tells his doctor he is experiencing extreme fatigue, aches and pains in his joints and major muscles, lack of concentration, depression, and digestive upset. When he asks to be tested for Lyme disease, some doctors refuse, others will reluctantly order a test. If the test comes back negative, the doctor states the patient does not have Lyme disease, and the patient's symptoms may be treated. Because of misdiagnosis or late diagnosis, these patients suffer years of misery and hospitalizations. When the tests come back positive, and the patient is given minimal treatment with antibiotics, he is told he is cured, but now has developed autoimmune problems or post Lyme syndrome, and there is nothing further that can be done. The most damaging feature of Lyme disease care is not misdiagnosis, however: It is the absence of treatment or insufficient treatment.